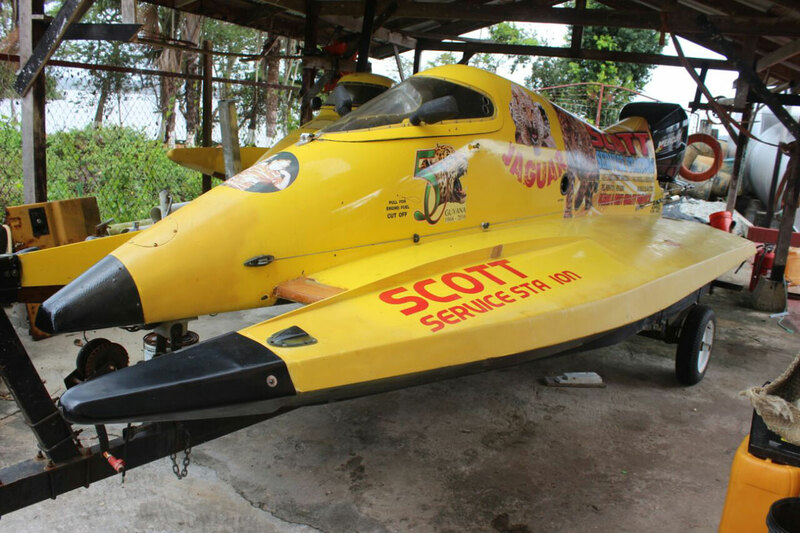 Defending champion Dave Scott will be piloting this machine come Sunday and Monday. 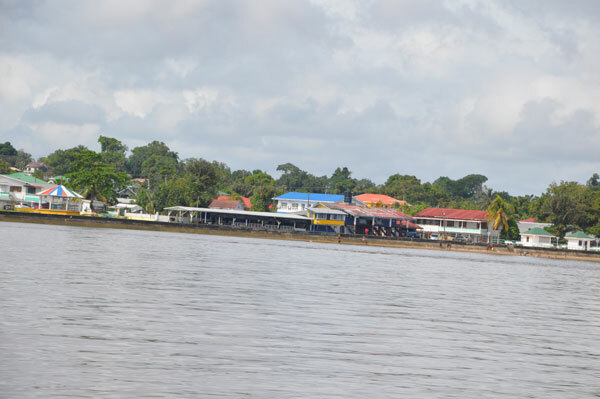 It has come to that time of the year once again when the leading exponents of powerboat racing in Guyana take to the waters to show off their dexterity, skills and nerves as they compete against each other for lucrative cash prizes, trophies and bragging rights. Come Easter Sunday and the day after, Easter Monday, the Golden Beach Circuit in Bartica would be the place to be to see in action in the likes of reigning champion Dave Scott being challenged for his title by the Belle clan of Shawn and Clarence, Dave Young, Selwyn Joseph, Raymond Rasul and Jose Jardine among others. The F1 Unlimited races are expected to be thrilling events ‘where the big boys play’ and that apart, races for 40hp, 90hp and 200hp boats will also excite the hundreds of fans expected to turn out to take in the action on the beach whilst also enjoying the old age tradition of flying their kites. The F1 Unlimited has a total prize package of 393,000 (1st 150,000, 2nd 120,000, 3rd $100,000) along with trophies valued at $10,000, $8,000 and $5,000 each. The 200hp event has prizes of $100,000, $80,000 and $60,000; 90hp – $80,000, $60,000 and $40,000 and the 40hp events attracts prizes ranging from $50,000, $40,000 and $30,000. 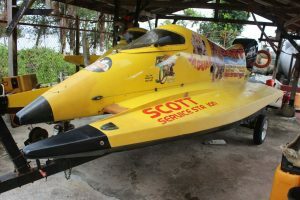 Jet Ski racers will also have their chance to excite the fans and prove who’s the best among the likes of Michael Martindale, Bobby Rasul and Whitney Welcome. Cash prizes range from $30,000, $25,000 and $20,000 on offer as well as trophies. Passengers boat have not been left out of the action and they will compete in the 15hp (Mixed), 90hp and 200hp which are both Open races. 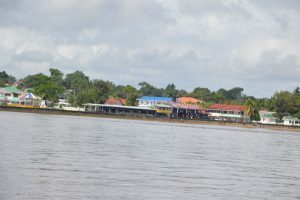 The Golden Beach Circuit, Bartica venue for the annual Power Boart Races on Easter Sunday and Monday. Awaiting the Champion Driver in the F1 Unlimited category over the two days is a whopping first place prize of One Million Dollars in cash along with a trophy valued at $30,000. The 200hp champion collects $500,000 and trophy; 90hp champ is guaranteed $300,000; 40hp $200,000 and 15hp winner, a 2hp outboard engine. Sponsors of the Champions Driver trophies are Sir Service Station, Rick Ramnarine Mining, BK International, Crown Mining and Hopkinson Mining. Other sponsors of the cash prizes and trophies are Heineken, Guinness, General Marine Company, Crown Mining, Digicel, Sir Gas Station, Ricky Ramnarine, Pandit Service Station, Smart Aid Pharmacy, Guyoil and Castrol GTX, Hopkinson Mining, Farm Supplies Ltd, Scotia Bank, GBTI, Guyana Gold Board, S. Persaud Lumber Yard, Courtney Benn Construction Company, DDL, ExxonMobil, GTM Insurance, BK International, Kadir Mining Enterprise, Super Gold Mineral Trading, MF & MI Yassin, Altantic Petroleum, Scotia Bank, Boodhoo’s General Store, Road Runner, Air Services Ltd, and GGDMA. Ministry of Business; Department of Tourism, Department of Sports, RDC Region 7, NCN, Guyana Geology and Mines Commission, Impressions, Mayor and Town Council of Bartica, Banks DIH, Ansa McAl Trading, H A Snacks, Western Union, Rich Kids Sounds, Aruwai Resort White H2O, Regional Economic Project, Eon Stephens Trucking Service, Two Brothers Service Station, Palm Springs Hotel, Strategic Asset Solution, Guyana Gold Board and Star Computers. Some of the other boats that would be in contention. Meanwhile, Dirt Bike Racing will rev off tomorrow at the Mongrippa Hill ground from 10:00hrs while the River Swim will splash off on Sunday morning from 06:00hrs from eth Golden Beach Circuit.